Business process outsourcing (BPO) is the contracting of non-primary business activities and functions to a third-party provider. BSC can provide BPO (business process outsourcing) services for your organization. Companies outsource non-core business functions that are document and labor intensive to companies like BSC who offer the service as a core competency. This allows organizations to speed technology deployment and process improvement while reducing costs. We help organizations process inbound documents such as invoices, surveys, and applications quickly, accurately, and cost-effectively. Our BPO services safeguard valuable information while in the production process. Outsourcing helps a company to become more flexible by transforming variable cots. A variable cost structure helps responding to changes in required capacity and does not require a company to invest in assets. BPO contributes focus on a company’s core competencies. Key employees are released from performing non-core or administrative processes and can invest more time and energy in building core businesses. This will enable you to grow at a faster pace as it will be less constrained by large capital expenditures for people or equipment that may take years to amortize and may become outdated. Save time, and money with BPO solutions and focus on your core while we focus on the paper and mail. A digital mailroom transforms paper mail into electronic files, as offices move into the digital age, many are switching from the traditional way of handling mail to the digital mailroom, which allows incoming mail to be processed automatically. 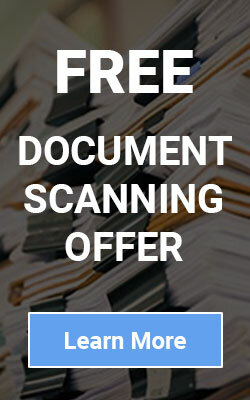 When mail is received, it is immediately scanned, and then document automation software can sort it and extract information from the various documents. A digital mailroom is a necessary component of any organizations digital transformation strategy. To take a business or business process “digital” and enjoy the benefits of digital automation workflows you can’t have any paper, faxes, and unstructured emails. So, think of a digital mailroom as a way to feed accurate digital information into your business processes that arrive “un-digital”. Digital mailrooms involve many advanced transformation technologies for forms recognition, bar code reading, optical character recognition, handwriting recognition, data entry, data validation and often more. Digital mailrooms can be outsourced as a BPO service or an organization can own and operate the technology platform. Sometimes organizations deploy in a hybrid configuration using both in-house systems and outsourced labor. What can a digital mailroom save you? BSC build systems for our clients and streamline the influx of transactions, correspondence, and general information into a business-critical process that needs correct, high-quality data to function. Whether you are a bank, non-profit, hospital, insurance company, school, or manufacturer, ask our business consultants to explore a digital mailroom solution for your company today.